It’s no secret that I am a huge Harry Potter fan. 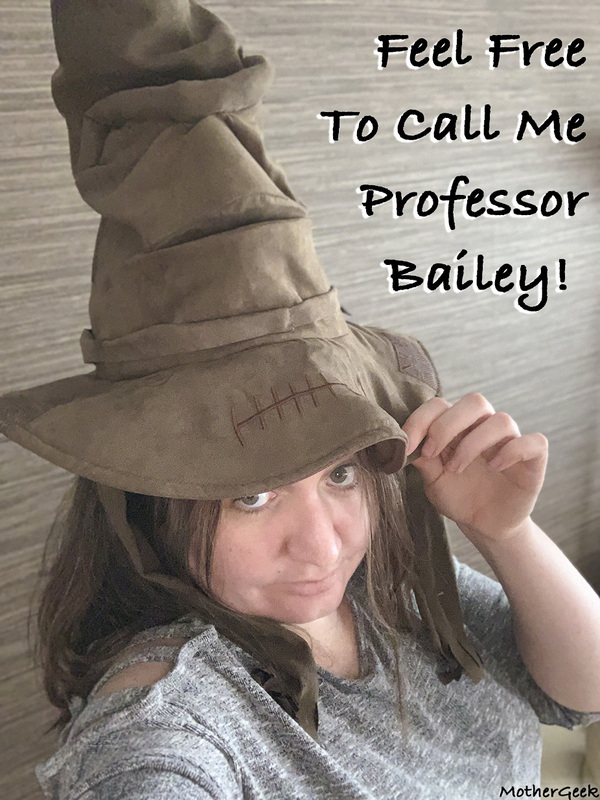 When we were asked to review the new Harry Potter Sorting Hat, I was very excited! The Hat has an RRP of £39.99 and is suitable for children aged 5 and over. What is the Harry Potter Sorting Hat? In the Harry Potter books (and films), all of the new Hogwarts pupils are sorted into their houses by the Sorting Hat. Each Hogwarts House looks for particular traits, and the children are sorted accordingly. Here’s a little info about the four Hogwarts Houses…. Gryffindor values courage, bravery and determination most of all. Professor McGonagall is the head of Gryffindor during Harry’s time at Hogwarts. Harry, Ron and Hermione are sorted into Gryffindor. Professor Dumbledore and Hagrid were both also in Gryffindor when they were pupils at Hogwarts. Hufflepuff values hard work, patience, loyalty, and fair play. Professor Sprout is the head of their house, and popular pupils include: Scamander Newt, Cedric Diggory and Nymphadora Tonks. Ravenclaw values wit, learning, and wisdom above all else. Professor Flitwick is the head of Ravenclaw, and popular Ravenclaw students include: Cho Chang, Luna Lovegood and Professor Lockhart. Slytherin produces more Dark wizards than any other house. It values students who are proud, ambitious and cunning. Harry was almost sorted into Slytherin! Famous members include Voldermort, Severus Snape and Draco Malfoy. 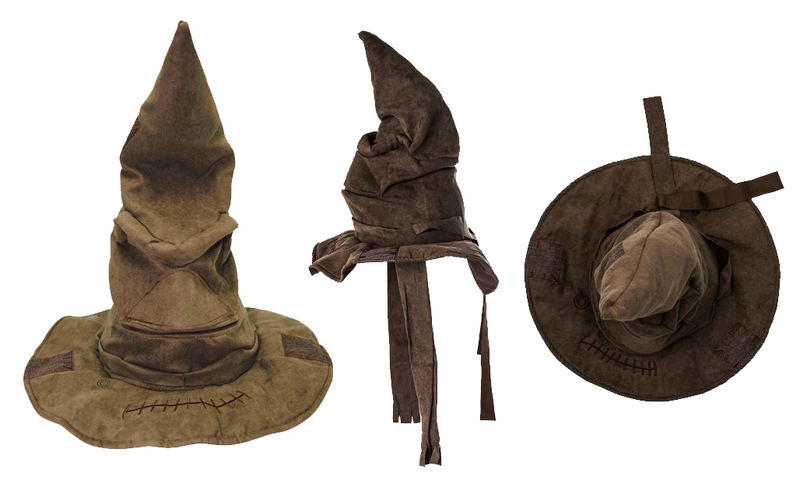 When it is first removed from the box, the Harry Potter Sorting Hat is in demo mode. 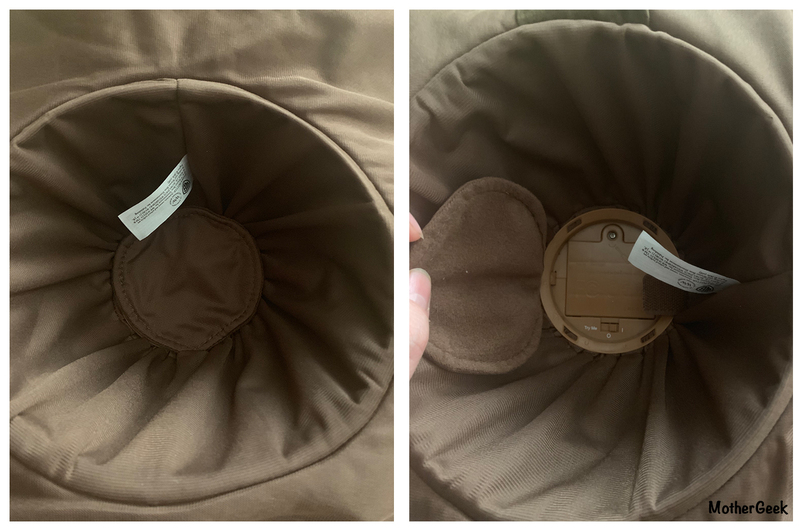 You will need to lift up the secret flap inside the hat to switch it from demo to “on”. This is also where you’ll need to go to change the batteries, when the time comes. (Ours are still going strong though – despite lots of playing). I was really happy to find the batteries were included – always a plus in my book! As the video shows, the Harry Potter Sorting Hat is huge! It measures in at: Depth: 34 CM, Height: 36 CM, Width: 34 CM. Syd is 6 and the hat perched on her head. My head is pretty big, and the har literally balanced on my head – I had to keep very still to prevent it falling off! With that in mind, don’t expect to wear this on your head while moving around – it’s not intended to be used for fancy dress or such like. I was extremely impressed with the quality of the Harry Potter Sorting Hat. The fabric is really soft to touch, and the look and feel of the hat is remarkably close to the one which features in the Harry Potter films. The attention to detail is amazing. The patches, pretend repair jobs and the face are all made with extreme care. Syd and I are big Harry Potter fans. I honestly thought the Harry Potter Sorting Hat would be one of those toys which is used once then left. Syd has surprised me though. I have heard her “playing Harry Potter” upstairs every evening this week. She’s also said in the video she will sort everyone who comes to visit. So far, she has stuck to her word on this front too! The hat does only offer 4 possible results, so personally I can’t see it being something which is played with all that often for very long. The Harry Potter sorting hat is imported by Kids@Play, and is available to buy from all good toy stores, as well as online from Argos and . At £39.99, the Harry Potter Sorting Hat isn’t the cheapest toy. Despite it being good fun, I think it is a little on the expensive side. That said, it is a brilliant gift for the Harry Potter fan in your life. I think it will make a brilliant talking point on Christmas Day and at any parties etc over the festive period! We were sent the Harry Potter Sorting Hat to review, but all words and opinions are my own. 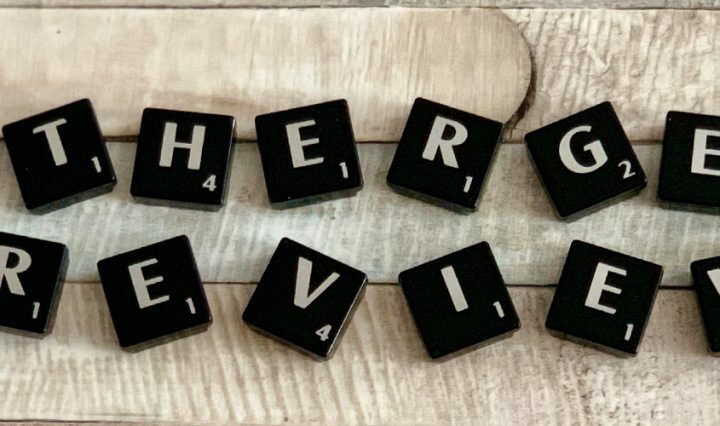 Find more of my reviews here.